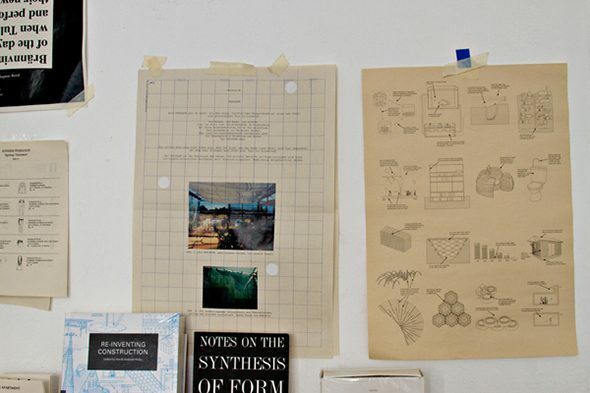 Walking into Something Fantastic’s studio space is like stumbling on a mad-scientist’s architectural laboratory. 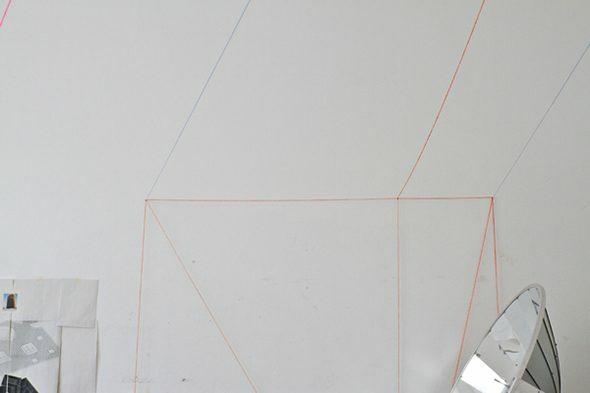 There are hovering, twisted geometric lamps made from styrofoam board; a full-scale prototype, composed of a one meter-diameter reflective disc and retrofitted trike, rests in the corner; multi-colored string compositions are pulled taut across the ceiling and walls; throngs of sketches, photocopies, and architectural drawings are plastered to the walls. 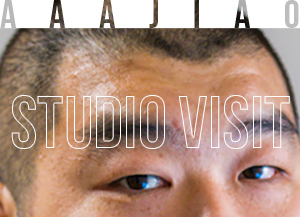 The studio itself is quite small, but the intimacy works to the advantage of this three-person architecture collective: close quarters allow for the diversity and scope of their ideas to really cross-pollenate. Something Fantastic’s studio also benefits from sharing the same address in Schöneberg as The Apartement, Salon Populaire and the Kunstsaele, all increasingly influential arts spaces in the city. The siting of this studio truly enforces Something Fantastic’s belief that architecture is everything, and that everything is architecture. 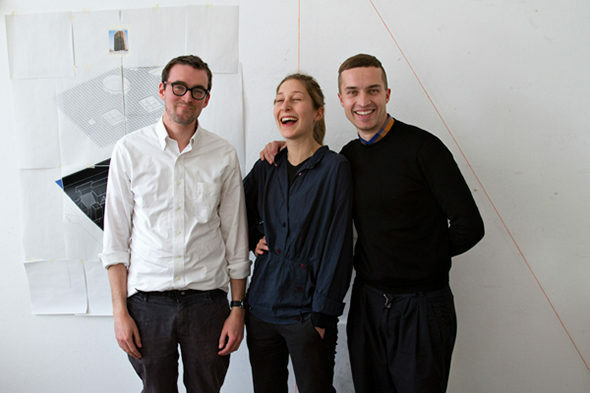 Something Fantastic began about three years ago, when then-architecture students Julian Schubert, Elena Schütz, and Leo Streich collaboratively developed their diploma thesis at the University of the Arts (UdK Berlin). The result was a compelling publication about their views on where architecture has been and where it can go. 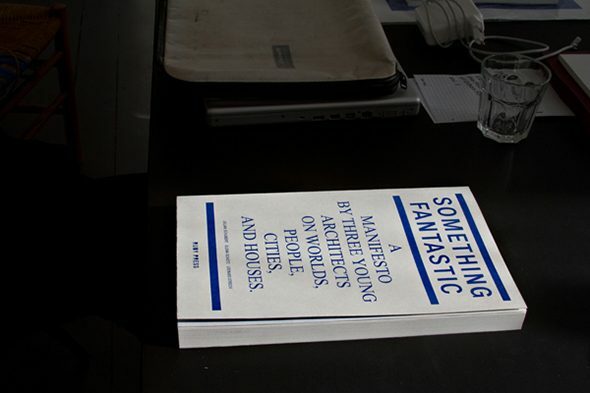 In this self-titled book, Something Fantastic: A Manifesto by Three Young Architects on Worlds, People, Cities, and Houses, there is an exciting mix of original design proposals, interviews with world-recognized professionals and excerpts from icons of the discipline, as well as personal essays about the state of the architectural profession and their personal goals for practice. There is a laudable tradition of architects and designers fueling their careers with groundbreaking texts (Le Corbusier’s Towards a New Architecture, Rem Koolhaas’s “Junkspace,” and larger curatorial work, Content), but this kind of publication by such a young architecture office treads very different ground from its predecessors. For one, the look and feel of the book contrasts greatly from the glossy coffee-table books that dominate the publication-end of architecture’s presence today (Something Fantastic was published using one of the more economical printing methods, a Risograph, and printed using single-color ink). For another, the book tackles a somewhat non-linear layout, where each page is infused with tags, each referring to relevant content and references that can be found in other parts of the book. This in-going/ out-going content circuitry creates a publication that hovers somewhere between rich reference resource and “Choose Your Own Adventure” novel. And while this final result was not the anticipated outcome for their final student project, Something Fantastic did have the aim to make something beyond the traditional academic proposal. For Julian Schubert, the direction of this work reflected the global social and economic crisis that was rapidly developing in 2009. 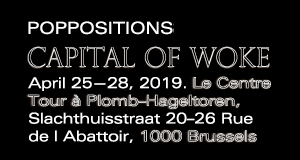 In concurrence with the financial system collapsing, the architectural, and building profession as a whole, essentially came to a stand-still. For Schubert, “it was clear that we couldn’t go on practicing the way the profession had traditionally been practiced…this was the main reason why we didn’t want to make a traditional thesis project.” The added desire to engage the profession through reading key texts and interviewing prevalent practitioners quickly built a formidable collection of important resources, both for Something Fantastic and for other emerging architects. As more content was culled, debated, written, drawn, and edited, the final form of a book started to make sense. But in many ways, this book is a work of architecture. The index, where the team started, informed a very straightforward structure to cataloguing the meaningful passages that they were reading at the time, the ones that they found to still be relevant to this day. Such an organizing system was shared amongst them, designed to be expanded as new information was discovered. This structure, which is now the formal index found at the end of the publication, allowed for the interviews, developing designs and original writings to intermingle with related or complementary examples of predecessors and contemporaries. For Leo Streich this allows one to “read from the back of the book to the front,” giving you a real “making-of of the project…our own design proposals developed in tandem with meeting and speaking with different makers and thinkers.” While developing this research, the team simultaneously reinforced the goal to make works that were more tangible. Moving back and forth between penning their own theory and honing their design sensibility, Something Fantastic has created an architectural language that represents fervent search and fearless testing. “The Dumpling Express” is a project that speaks to Something Fantastic’s ongoing investigation of an architecture that is both independent and simultaneously connected to its context. This work (one of the more bizarre and exciting figures in the studio) is an example of raw material experimentation in the face of high-tec construction techniques that increasingly dominate the architectural profession. “The Dumpling Express” is inspiringly simple: constructed from a timber frame, parabolic reflector, and a used tricycle, it is a mobile construction that can spontaneously activate any part of the city through communal of cooking and eating (within this reflector is a support for a pot of water, on top of which several bamboo steamers can sit. 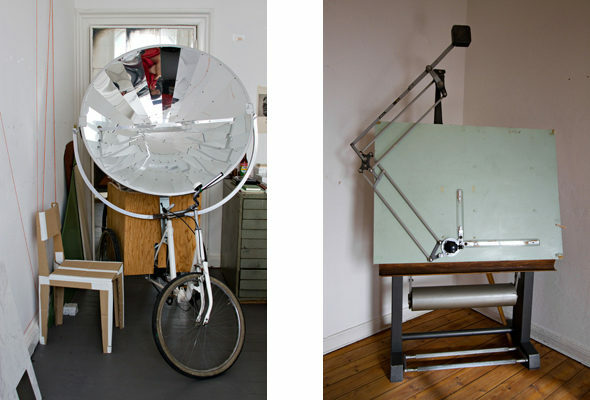 The reflective bowl is supported by an extension of the tricycle’s seat post; the connection is a flexible pivot point in the frame to allow for easy adjustment according to the sun’s location. The reflector concentrates the solar radiation beneath the pot to generate steam, which in turn cooks the dumplings). Also designed and built during this seminal thesis year, “The Dumpling Express” is a bold aesthetic architectural statement besides being a traveling kitchen. 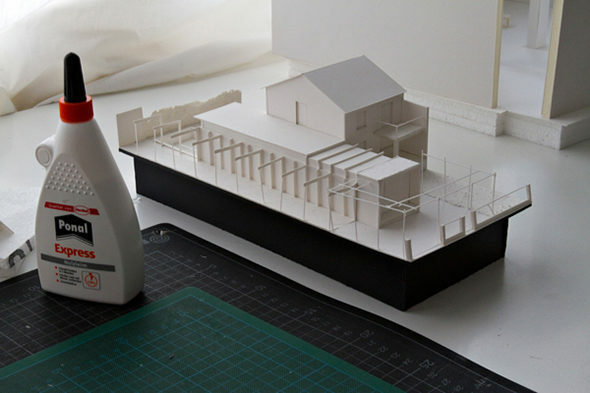 While most academic architecture projects exist only in detailed drawings and scale-models, Something Fantastic set out to build a 1:1 construction that would directly affect user and environment alike. The low-tech installation and everyday-object collage aesthetic makes the overall result simultaneously uncanny and accessible: its composition and collision of familiar elements that create an unexpected result is wholly beautiful. While the low-tech approach is sustainable and durable, it reflects an older way of thinking where innovation stems from very immediate needs and the resources directly at one’s disposal. It’s not surprsing that Something Fantastic gravitates towards a more vernacular architecture, and collectively abhors over-design. “I think that the fear of overdesigning something is in all of our projects,” says Schubert. “We want to create a beautiful thing, but it shouldn’t be such an effort. It should have an ease about it.” And with that ease, there can be accessibility, unassumption, even sustenance, as is the case with “The Dumpling Express.” Something Fantastic is currently developing a spin-off “The Dumpling Express” idea, but where the food is cooled instead of cooked, hopefully just in time for summer. Since that first book, and all the experimental designs that went with it, Something Fantastic has continued to develop their innovative ideas in unexpected ways. Their design ethos of flexibility, sustainability, and simplicity permeates a vast body of work, especially in their recent exhibition-design projects. 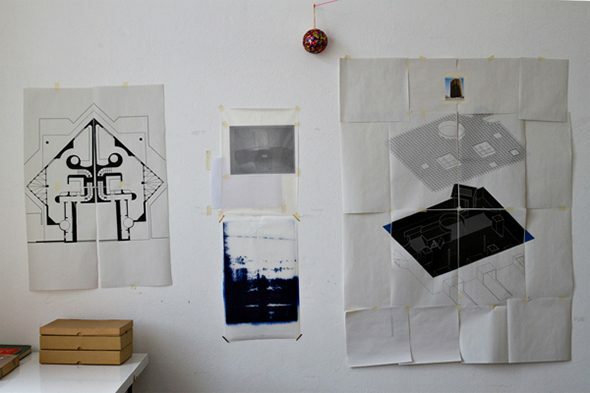 When Matthias Böttger, founder and co-director of Berlin-based architecture office Raumtaktik, approached Something Fantastic about the then-upcoming 2011 exhibition Raumproduktion (Creating Space), it was precisely because of their way of interconnecting print space with architecture. As the curator of Raumproduktion at the Kunsthalle Düsseldorf, Böttger knew that there would be a book in conjunction with the exhibition, and wanted there to be a more direct connection between the two elements. Besides the common relationship where the publication clearly refers to the exhibition, Böttger wanted to also have the exhibition refer to the book. Something Fantastic partitioned off the gallery space with wool strings in order to create a very clearly demarcated spatial and programmatic experience. The layout rests tenuously on these very thin boundaries (each colored in the familiar palette of an InDesign guide), but manages to collapse graphic and haptic into a singular expression. 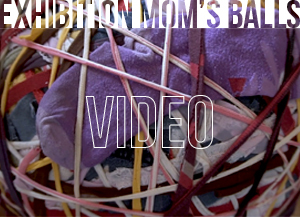 Additionally, the participating artists were asked to install their work as the exhibition was running,and thus required a more flexible design that would choreograph and inform without encumbering. And at a total material cost of 18 euros, I feel it’s safe to assume that this is the most inexpensive exhibition design on record. This past April, Something Fantastic participated in a residency-as-exhibition experiment at District Kunst- und Kulturförderung. Post-Studio Tales investigated the limits “contemporary art practice and the spaces of its production” by housing all eighteen participating artists and the three curators within the exhibition’s design. And while Something Fantastic was not counted among the invited artists, they designed and built the enveloping exhibition architecture. Built from scaffolding materials, the installation responds to the basic needs of the artists: housing, work-spaces, larger exhibition areas, communal zones, and a kitchen/bar. Constructing this ostensible stage out of some of the more banal, temporary and cheap of building materials, Something Fantastic allowed for “the art-making process” to play out on a kind of displaced urban jungle-gym. There was no definitive programmatic decision on the part of the architects to say one area was for sleeping while another for working. 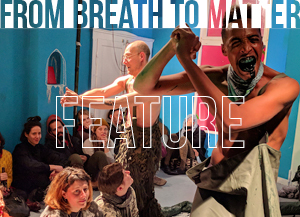 That kind of specificity was defined by the artists who would occupy the space continuously for two weeks (to read more about the fascinating delineation of space and other behavioral biproducts of the show, check out Berlin Art Link’s review of the Post-Studio Tales show here). Something Fantastic’s architectural sensibility approaches a kind of economy and material sensibility that is not so prevalent in contemporary architecture, especially among more established offices. And while they aim for a product that doesn’t come off as too designed, the results are often expressive, gestural, and formally exciting, while simultaneously speaking to a contemporary cultural relevance of economy and social viability. The future is full of more opportunities to publish, teach (they are currently teaching a seminar called “Technology Exchange” at the ETH in Zurich), and, ideally, build. Berlin has afforded their emergent practice a place to site their prototypes and experiment freely, but the goal is to find a way of sustainably growing and to make architecture happen.